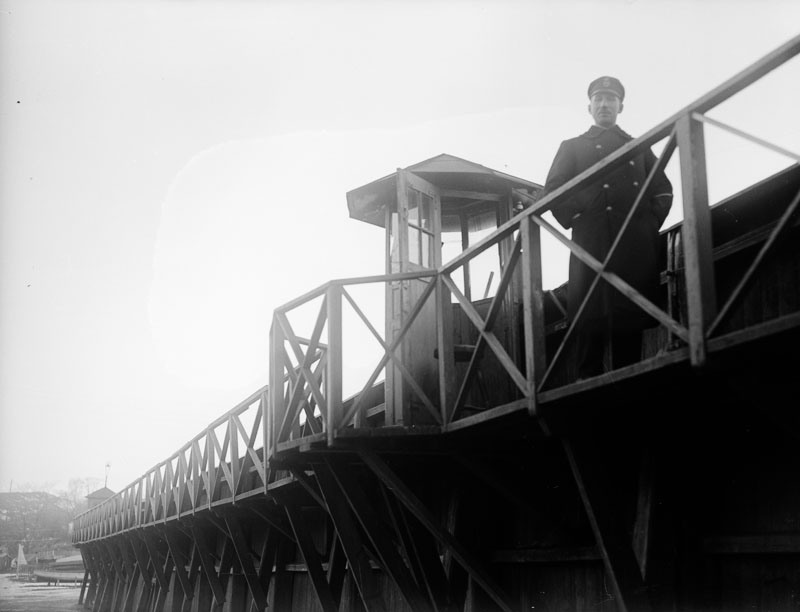 Prison Guard, 1910. Public domain photo. He looked forward to coming home to that kitchen every night and tossing his cap on the table before plopping down to dig in to whatever she placed before him. Meatloaf. Pork chops. Chicken. He didn’t care what it was; only that it was hot, ready, and waiting for him. His wife would smile and nod as he told about his day, the uprising in the south cells, the inmate who’d committed suicide, the guard who tormented prisoners with lit cigarette butts. She’d pass the potatoes. Offer rolls. Occasionally she’d make an apple pie, or, when he was really lucky, a peach cobbler, the cinnamon infusing the whole room, instant aromatic relief from the stress of pretending the suffering didn’t bother him, that he was cold and hard, like those he guarded. Like those he served with. He wasn’t. He was the bread she made – crusty on the outside, soft on the inside, always there, always dependable. Like this kitchen, which he loved coming home to every night. Until one night there was no dinner. He found her slumped over on that kitchen floor, those loving eyes closed forever. And it was then he finally knew. It wasn’t the kitchen he’d looked forward to after all. And there it is, my short (short!) story of 200 (+/-10) words, combining something from the photo prompt with the setting of a kitchen. What do you think? Want to read other stories or write your own? March on over to Flash Friday Fiction! This entry was posted in Flash Friday Fiction and tagged Flash Friday Fiction, Home Fires, kitchen, prison guard by Margaret. Bookmark the permalink. Next → Next post: Monday Funnies: How Do You Like Your Eggs?